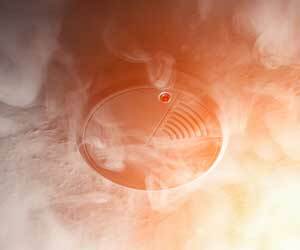 Mother's voice-based fire alarm most effective in waking children in case of fire finds a new study. It has been found to be even better than actual high pitch alarm. 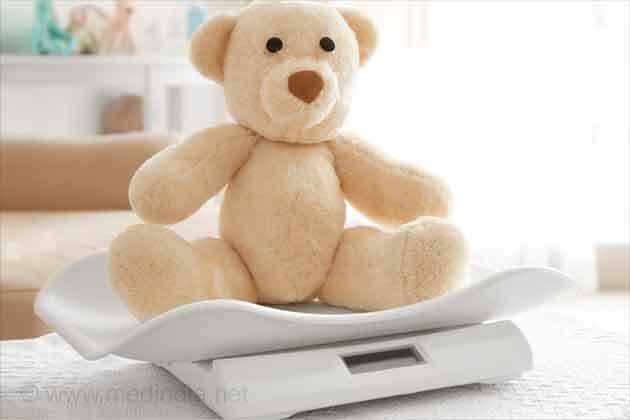 The results of this study are published in the Journal of Pediatrics. In a study researchers in the Center for Injury Research and Policy and the Sleep Disorders Center at Nationwide Children's Hospital examined characteristics of four different smoke alarms to determine which ones worked best to wake children. They tested three alarms that used the mother's voice in addition to a high-pitch tone smoke alarm commonly used in homes. The research included 176 children 5 to 12 years of age studied at a sleep research center in Columbus, Ohio. The researchers found that a sleeping child was about three times more likely to be awakened by one of the three voice alarms than by the tone alarm. The alarms using the mother's voice awakened 86-91% of children and prompted 84-86% to "escape" from the bedroom, compared with 53% awakened and 51% escaped for the tone alarm. The study also examined the effect of the different alarms on the amount of time it took the children to get out of ("escape" from) the bedroom. In a real fire, seconds can make a difference. If a child wakes up but takes too long to leave a burning building, serious injuries or death could occur. The median time to escape for the high-pitch tone alarm was 282 seconds - nearly five minutes - while the median times to escape for the voice alarms ranged from 18 to 28 seconds. Because the human brain responds differently to the sound of our own name, even during sleep, the researchers wanted to test whether including the child's first name in the alarm message made a difference in alarm effectiveness. However, no significant differences were found between each pair of the voice alarms, regardless of whether the child's name was included in the message. "These new findings put us one step closer to finding a smoke alarm that will be effective for children and practical for parents," said Gary Smith, MD, DrPH, lead author of the study and director of the Center for Injury Research and Policy at Nationwide Children's Hospital. "This study confirmed that a maternal voice alarm is better than a traditional high-pitch tone alarm for waking children and promoting their escape under conditions typical of homes. It also showed that the mother's voice was enough to be effective without using the child's first name. This means one alarm could work for multiple children sleeping near each other in a home." The study focused on 5 to 12 year-olds because children younger than five years are regarded by the fire safety community as being too developmentally immature to reliably perform self-rescue in a home fire, and therefore must rely on the adult rescue. Adolescents (older than 12 years) do not experience the same difficulty as younger children in awakening to a high-pitch tone smoke alarm. Future research will include assessing the role of the mother's voice versus a generic female or male voice and also comparing the voice alarm with a low-pitch tone alarm. An alarm that is optimized for waking children will also be tested among adults. If the alarm is effective among all age groups, this will increase its practicality and use. The research team is committed to reducing fire-related injury and deaths among children old enough to perform self-rescue. The researchers urge all families to continue to use traditional smoke alarms as recommended while research continues. Premature deaths associated with US wildfire smoke could double by 2100 says a new prediction model study. On pretext of using the bathroom, the prisoner's handcuffs were removed. When he came out he snatched a rifle from a policeman and started firing in the ward. The STF probe found that the fires were started by the staff of the department to destroy some evidence of wrongdoing.